Let's look at the four-hour chart. Tenkan-sen line is below Kijun-sen, the red line is directed upwards, while the blue one remains horizontal. Confirmative line Chikou Span is below the price chart, current cloud is descending. The instrument is trading between Tenkan-sen and Kijun-sen lines. The closest support level is Tenkan-sen line (77.766). 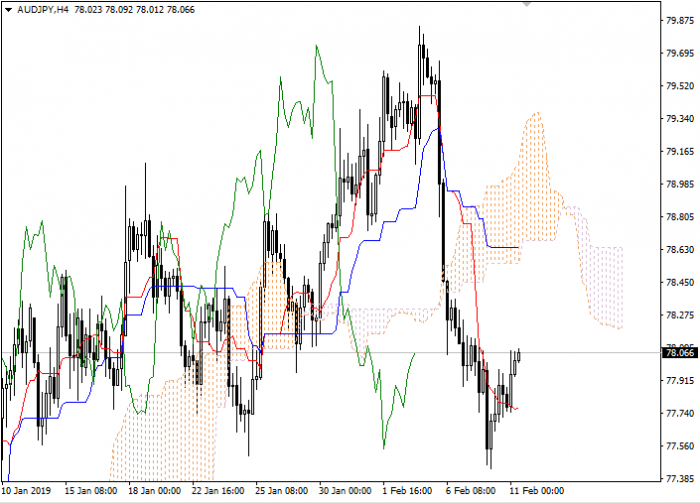 The closest resistance level is the upper border of the cloud (78.556). On the daily chart Tenkan-sen line is above Kijun-sen, the blue line is directed upwards, while the red one remains horizontal. Confirmative line Chikou Span is above the price chart, current cloud is ascending. The instrument has been corrected to the Tenkan-sen line. The closest support level is the upper border of the cloud (77.143). The closest resistance level is Tenkan-sen line (78.641). On the four-hour chart the instrument is still rising. 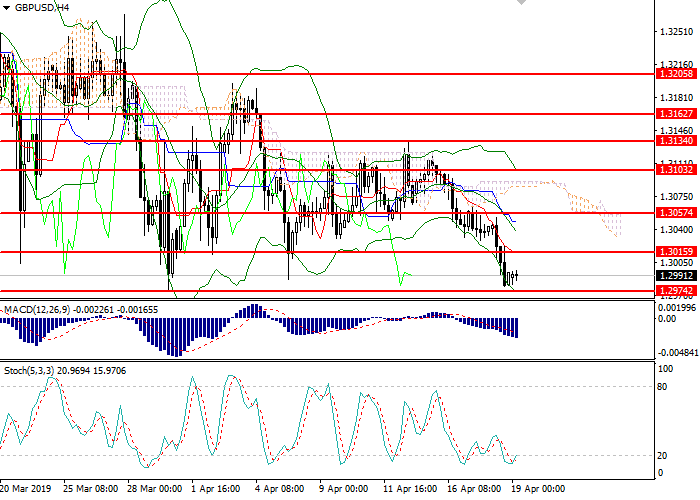 On the daily chart we can see a correction of the downward movement. 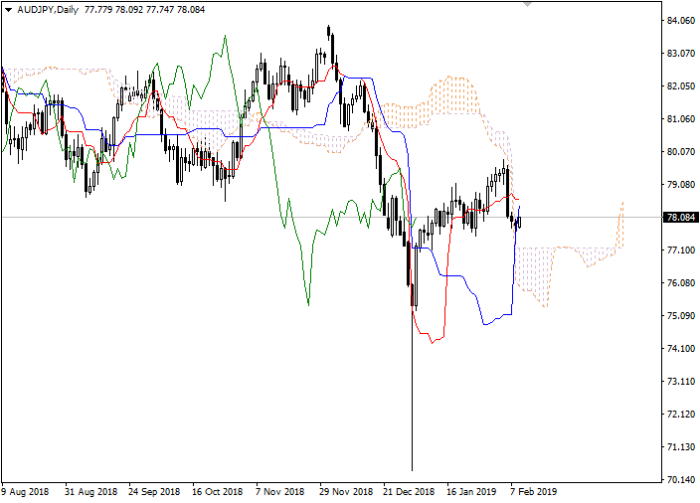 It is recommended to open long positions at current price with the target at the level of previous maximum of Chikou Span line (79.484) and Stop Loss at the upper border of the cloud (77.143).